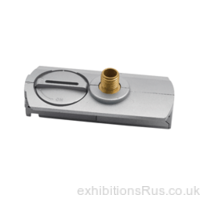 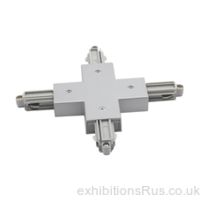 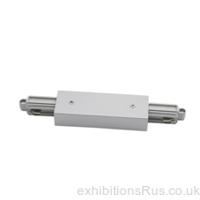 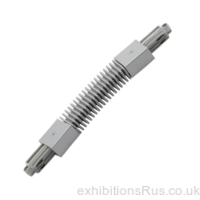 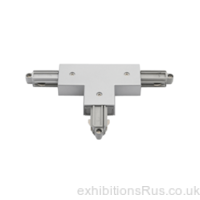 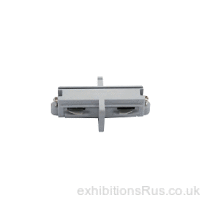 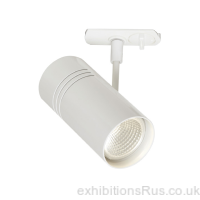 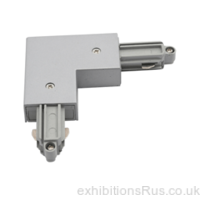 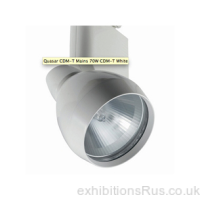 Track lighting system for exhibition and retail applications. 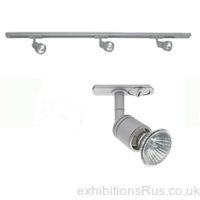 Here we offer 3 colour choices for lighting track and the lighting fixtures that lock into them (white, black, anodised silver). 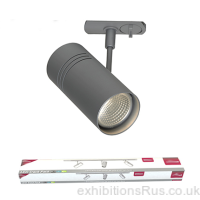 There are basic track lighting kits available straight off the shelf or you can buy components and lights to assemble your very own personal design requirements, perfectly suited to your premises or trade show event. 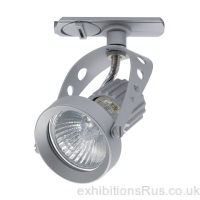 Lighting track has special connectors to allow grids to be made up and all powered from one input. 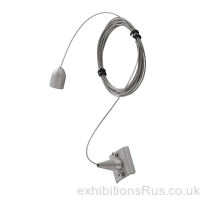 Track can be fixed directly to the ceiling or suspended on cable to really make a visual feature but also allows for height setting to be perfect for your venue. 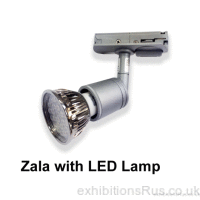 If you need a little help or advice on track lights call 01256 768178. 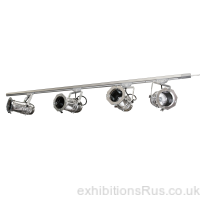 Expect a 3 days supply time. 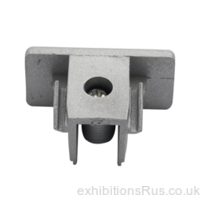 Straight Connector for Light Track. 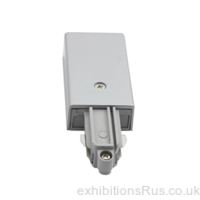 T Connector for Track Lighting Systems.